With the new Book by Cadillac service, users can have a Cadillac but switch it out for any other Cadillac up to 18 times a year. General Motors' latest product isn't a car. It's a new way to own a car. Or, rather, to not own a car. GM's new Book by Cadillac service takes leasing a few steps further. With this new service, people can pay a monthly fee to keep a car, but they can swap that car at any time for a different Cadillac model. Users can switch cars as often as 18 times a year. 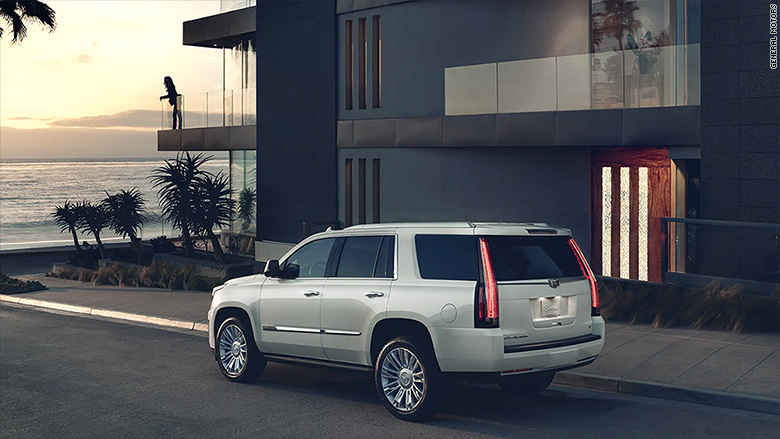 The idea is to add a level of luxury to the "sharing economy," said Melody Lee, head of marketing for Cadillac. Someone could, for instance, have a Cadillac CTS-V performance sedan in the summer, and as winter snow approaches, have the dealer bring out an XT-5 crossover SUV and take back the sedan. There's no long term contract, so this arrangement can be stopped at any time. Instead, users pay monthly and can keep driving a new Cadillac as long as they keep up the payments. It costs $1,500 a month, a price that includes insurance and regular maintenance. There is also a one-time $500 initial set-up fee. There is no additional charge for swapping cars. The price was set to be close to the total cost of leasing and insuring a typical luxury car, according to GM (GM). Rationally speaking, the price makes sense, said Ed Hellwig, executive editor at the automotive Web site Edmunds.com, but that may not be enough. 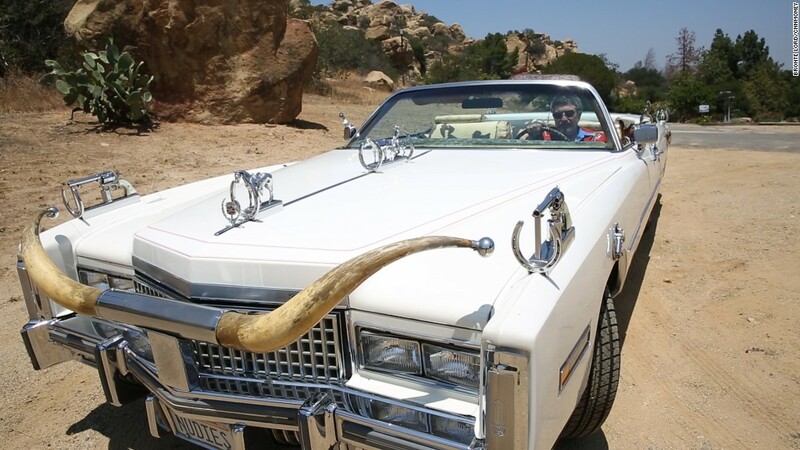 "I don't think it's so much the cost, it's do people at that price point want to drive a Cadillac?" he said. Cadillac's cars and SUVs have improved greatly in recent years, but other luxury brands still have more appeal among shoppers. And people who can pay $1,500 a month have lots of choices. On the other hand, the programs immense flexibility adds a lot of appeal, he said. Some people will appreciate being freed from the commitment of ownership. For now, the service is available only to people in the New York City area, where Cadillac is headquartered and where it has been test-marketing the service. GM has not yet announced when the program will be made available in other parts of the country. Book by Cadillac is different from typical car-sharing services like Zipcar and GM's own Maven. In those, users borrow cars for short periods of time and then return them. With Book by Cadillac, users are expected to have a car in their possession at all times. It's also different from a typical lease in which users are contractually obligated to keep a particular car for set period, usually a few years, before returning it to the dealer or buying it outright. "We feel like there was that space in between that wasn't quite addressed," said Cadillac's Lee. Car swaps and other services can be arranged through a smartphone app. When new cars are delivered all the settings, such as radio stations and seat positions, should already be set to the users' preferences. All the cars in the program will be top-level versions and will always be the latest model year, Lee said, so users will perpetually have a brand new car. At the very least, GM stands to learn a lot from this experiment said Hellwig. It's an idea that could be changed to work at lower prices or even with different GM brands. "Maybe this is a test bed for Chevrolet at $400 a month," he said.